LIVE Chat for Juice It Up! LIVE Vokle Video Chat with Lisa AND a Breville Juicer Giveaway! Want to win this baby? 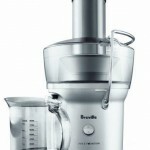 Make sure you sign up for Juice It Up here to be eligible for the Breville Juice Fountain ($99 + value) giveaway. Also, you must be present on Vokle to be the big winner! 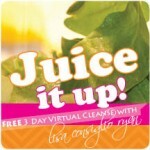 Click the pretty juice box to sign up for the FREE Juice It Up! Which is better? Making smoothies or juices? I don’t have a Juicer, so what is the best way to go about it where I am not choking down pulp!? Is there ever a “wrong” combination and/or ratio of fruits/veges when juicing? Is there a difference between the juicer and the Vitamix? What are good preserving tips for juices? Can they last for 2 days? How do you clean the grater thing how to clean the grater thing when I take it apart? What can I do with the pulp? I feel badly wasting it! 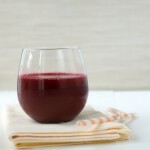 What are some new recipes so I don’t feel like I’m always making the same 3 juices? Need help setting up Vokle, check it here! Need more assistance? Email me at info@wholehealthdesigns.com.